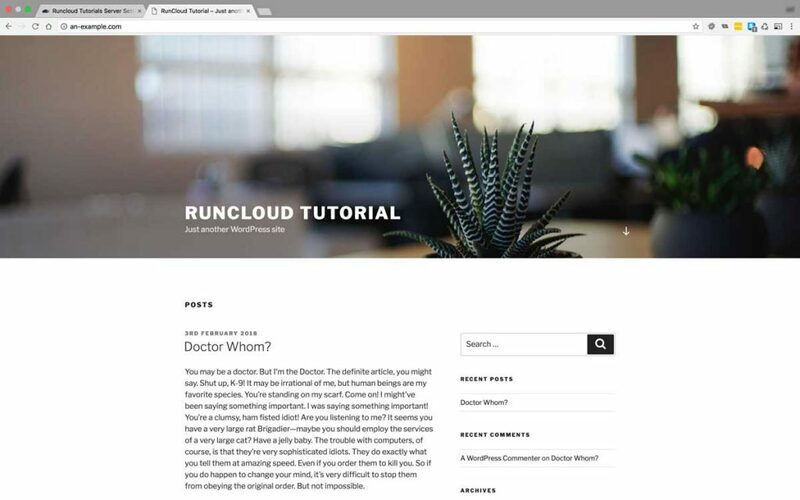 In the previous tutorial we mentioned that cloning a WordPress staging site is one of those necessary tasks when you’re working in WordPress development. 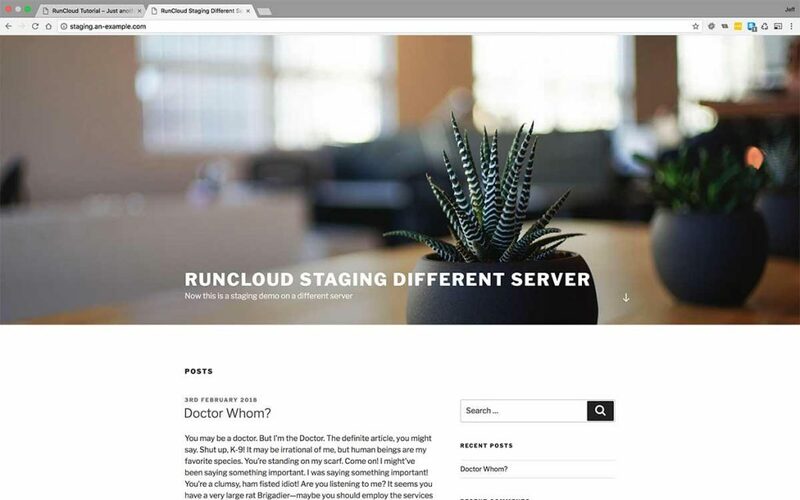 We then used the RunCloud Backup system, alongside the RunCloud File Manager and WP-CLI, to clone our staging site from production. If you haven’t seen that tutorial yet, you can find it here. 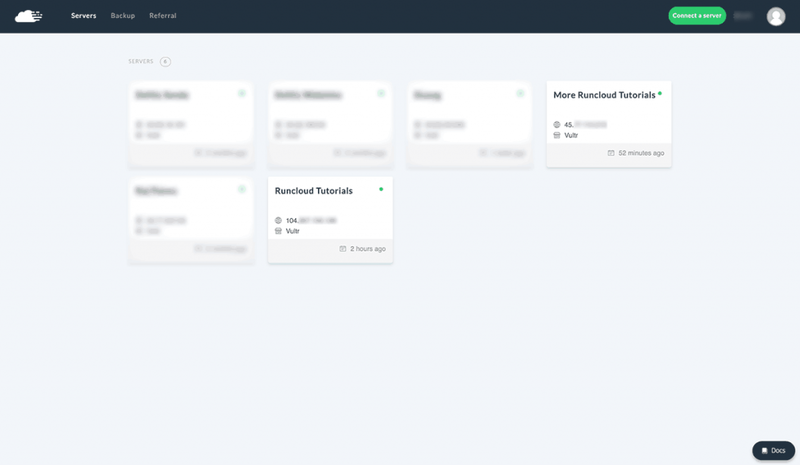 Using a staging site, alongside local development and our production site, means we can test WordPress core, plugin and theme updates on an exact duplicate of our live environment, risk free. In this tutorial we are going to go through the same process of cloning a WordPress site for staging or testing purposes on a subdomain. 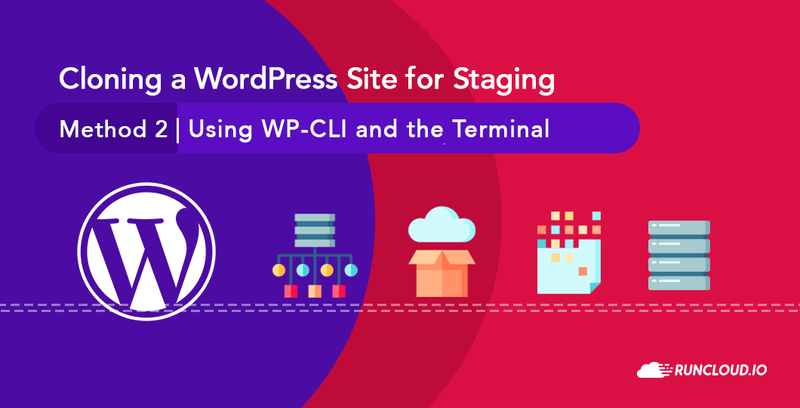 However today, we will create a staging clone using only the WordPress Command Line Interface (WP-CLI) alongside other terminal commands. In these tutorials, I will be logging in to my server and issuing commands as my superuser with root privileges using the sudo program command if necessary. If you don’t have a superuser, but want to follow best practices you can create one easily by following this tutorial. 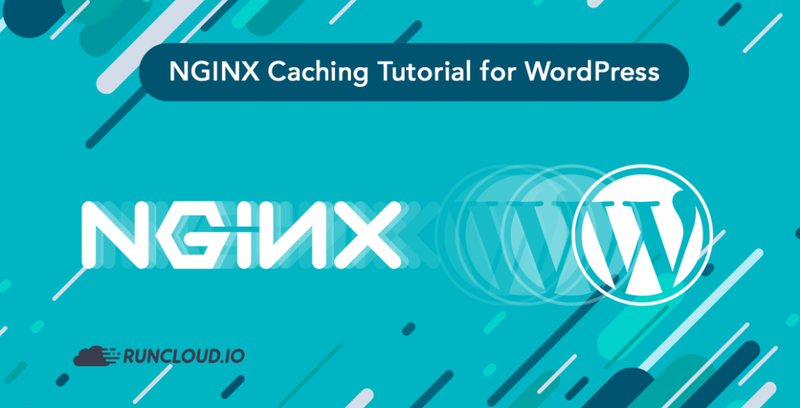 You will also need to have WP-CLI installed on your servers to complete this tutorial. If haven’t installed that yet, then not to worry, as we have an easy to follow tutorial to help you out. You will need to have it installed on both the production server and the staging server, if they are different servers. If your staging site is on the same server as the production site, then just skip to the next step. 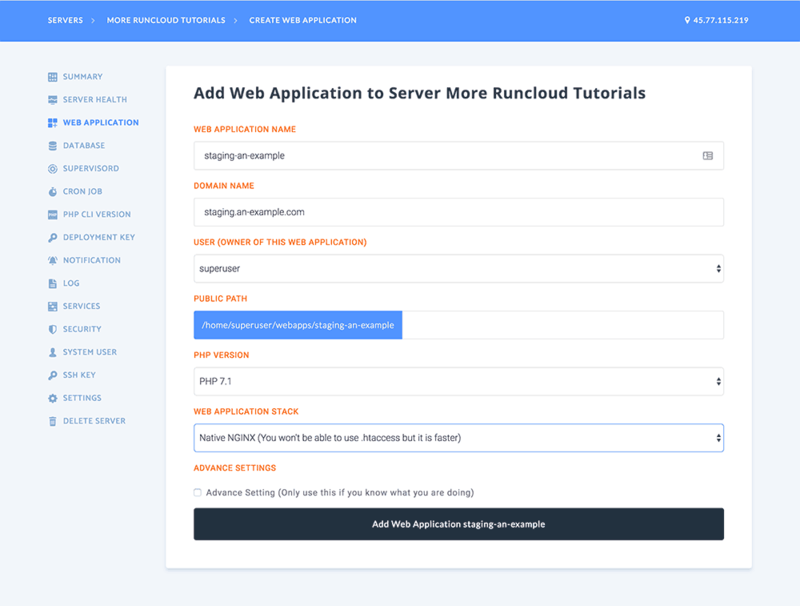 Add your Staging Site Web Application. 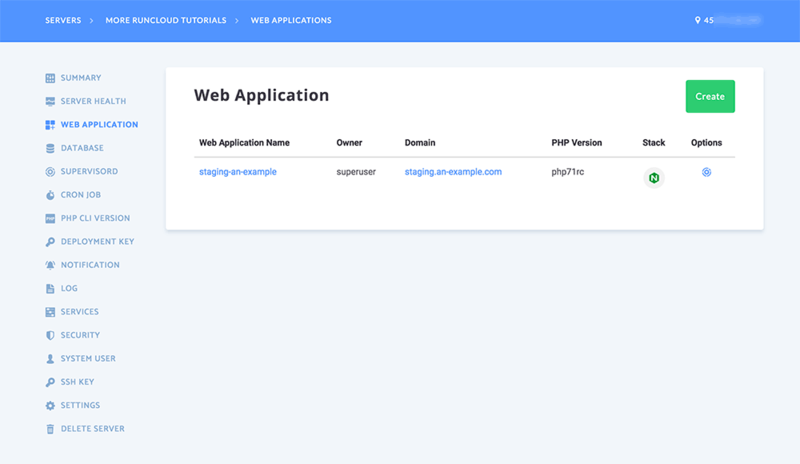 Staging Site Web Application on Staging Server. 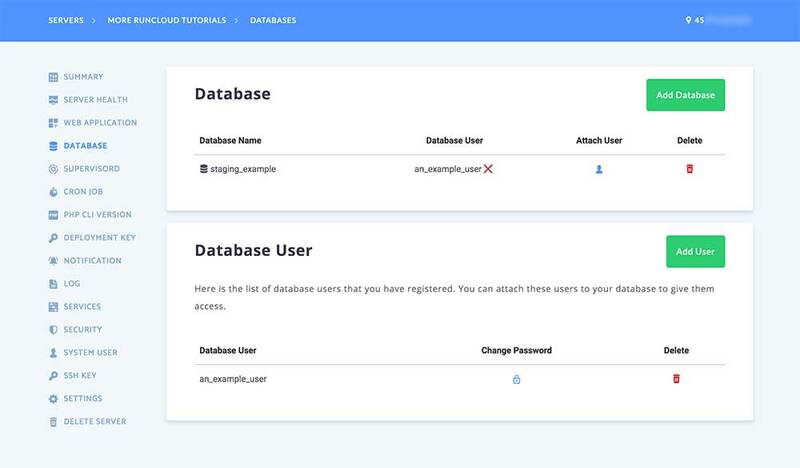 Then, attach your database user to your database. If you haven’t already, Log in to your production server as your superuser by ssh, and change into your Production site root folder. Use the WP-CLI wp db export command to export your production database to a file called ‘production.sql’ in your home directory. Change into your home directory and list out the contents to ensure everything went according to plan. Assuming the commands were issued correctly, you should see your ‘production.sql’ database export in your home directory. How we will clone the WordPress directory will depend on which server we are creating the staging site on. We can create the staging site on the same server as production, or a different server. Open your terminal and log in to your server as your superuser using ssh. Then change directory to your production webapps directory cd webapps, and list out the contents to ensure the application directory structure has been created. 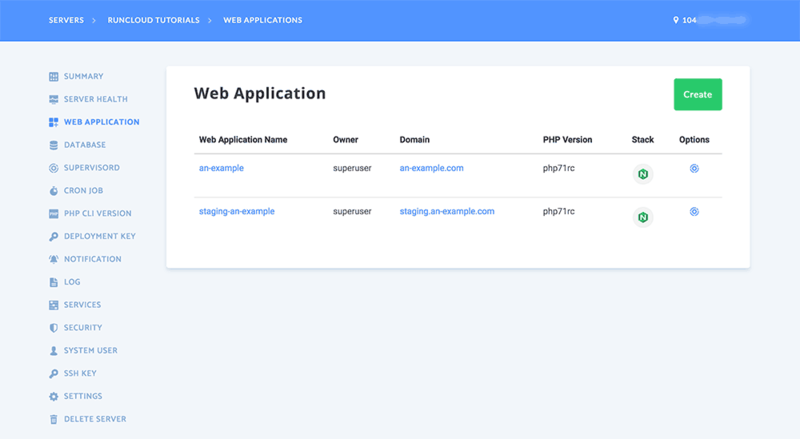 List the Webapps directory to make sure your Staging Site directory has been created. 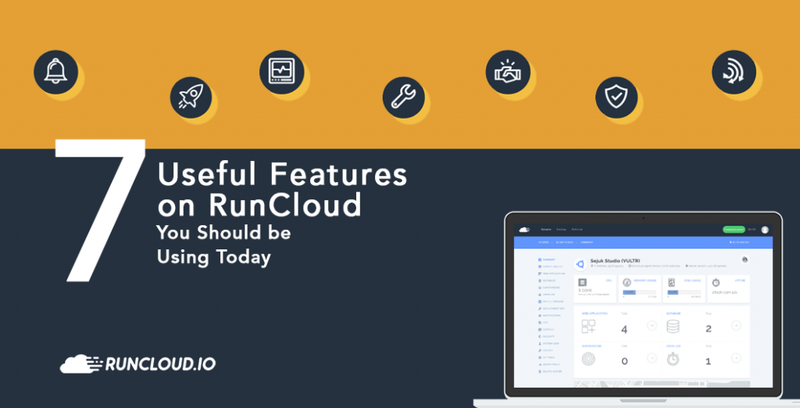 If you don’t see both your staging site directory and live directory, then return to the RunCloud dashboard. Go to your Staging Site Web Application settings and click ‘Rebuild’. Now the Staging Site directory should be there when you list out the ‘webapps’ directory contents. From within the ‘webapps’ directory, copy everything from your live site directory into the staging site directory. Change into the staging site directory, and list the contents to make sure everything copied correctly. All being well, you should see the familiar WordPress file and directory structure within. Copy the contents of the Production site directory into the Staging site directory. If you are not already logged into your production server, do so now, and change directory into the webapps directory. Now we need to compress up our Production site root directory, and save it into a ZIP archive in our home directory. Issue the zip command using your superuser privileges like so, sudo zip -r ~/production.zip an-example/. Download the files to your local machine’s desktop using SCP. Download the Production Directory and Database Export to your local machine. Upload the files from your local machine’s desktop, to your user directory on the staging server using SCP. Upload the Production Directory and Database Export to your staging server. Make sure the production.zip and production.sql are in your staging home directory. Delete the existing Staging Site WordPress Directory with sudo rm -rf webapps/staging-an-example. Now change into the Webapps directory, and unzip the Production Site Directory archive, using sudo unzip /home/superuser/production.zip. After the archive has been unzipped list out the contents of the webapps directory using ls. You will see we have created a new directory, named after the production directory. We need to change that directory name, into the correct staging site directory name using mv. After that, If we list out the Webapps directory using ls -l, we can see our new Staging directory has the wrong ownership. We need to give ownership of the new staging site directory, and its subdirectories and files, to our superuser. We can do that with the chown command used recursively -R. Once we have done that, list of the contents again to make sure the ownership change has taken effect. Create the staging directory with the contents of the production.zip. Whether you have created your staging site on the same server as production, or on another server, we have now succesfully copied the production directory. However, our staging directory has a wp-config.php file with the wrong database parameter definitions. We could open the wp-config.php file in our favourite text editor to make the necessary changes. But it is much easier to use WP-CLI to generate a new file quickly and easily. From within your staging site root directory, delete the extant configuration file and then create a new wp-config.php file with the correct Database parameters using WP-CLI. As ever, WP-CLI will respond with a success message, assuming everything has been configured properly. Delete the existing WordPress configuration file and use WP-CLI to create a new one. We have an exported copy of our production database in our home directory, named production.sql. From within our staging directory, issue the following command to import its data into the staging database. Once complete, WP-CLI should output a success message. 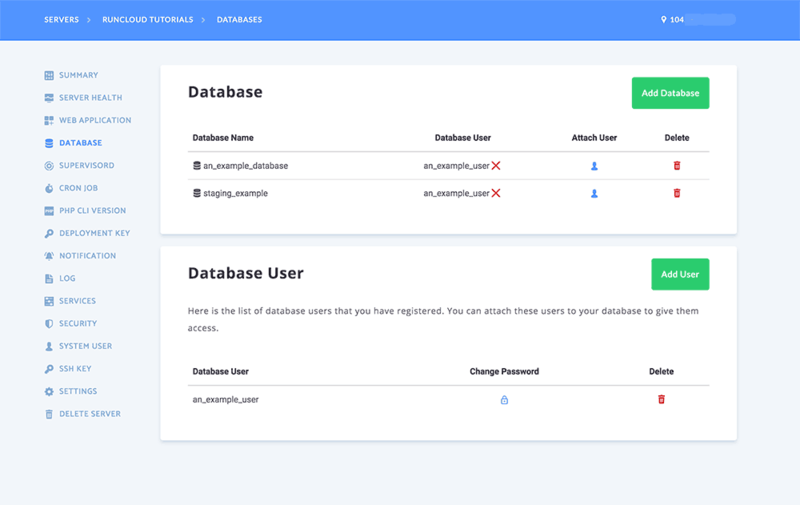 Import your production database into your staging database with WP-CLI. Our production database has now been cloned into the staging database. However we still need to update the database entries to replace our production domain with our staging domain. There are several methods to do this, from using plugins, to running SQL queries directly in the database. But we are going to use the power of WP-CLI once again. 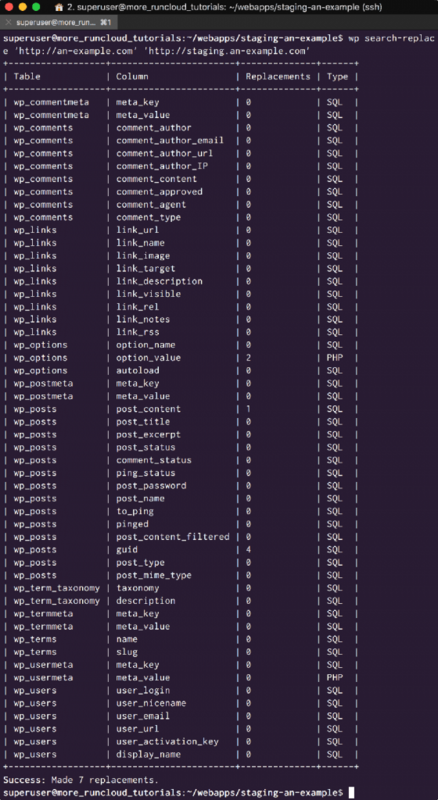 Use WP-CLI to udpate your staging database with the correct staging domain. I like to tweak my staging site title, to make sure it is apparent that this is not the production site. I find this lessens the risk of confusing the two, and effecting changes on the wrong one. Let’s Use WP-CLI to update the site name and description. From within the staging site root domain, we can issue some wp option update commands to update the site title and description. As usual, each command will be greeted with a success message. 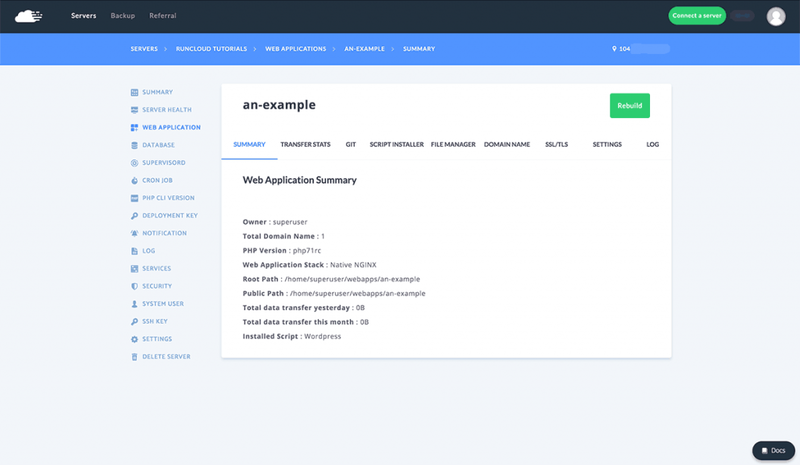 Now we have our staging site set up, we should look at a workflow that includes local, staging and production, and incorporates a version controlled deployment method. It would make sense to further integrate WP-CLI Aliases, so we can manage all our remote sites and development branches from our local machine.